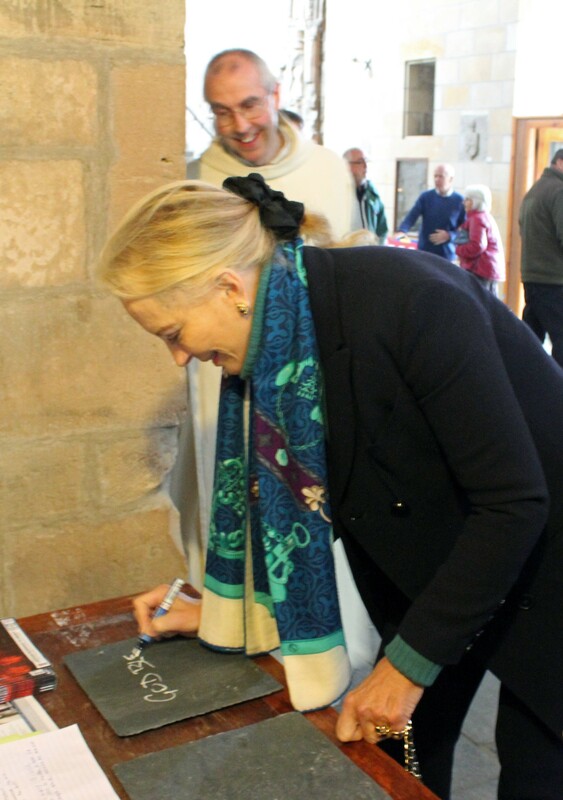 Her Royal Highness Princess Michael of Kent, royal patron of the Pluscarden 1230 Pilgrimage, attended a special ceremony at Pluscarden Abbey on Sunday 17th September to dedicate the ancient stone carried throughout the pilgrimage. The stone came from the ruins of the abbey of Val des Choues in Burgundy, the original home of the Valliscaulian order of monks who, in 1230 walked to Moray and founded Pluscarden Abbey. The Princess placed a Benedictine medallion in a niche which had been specially carved into the stone and which was then sealed. 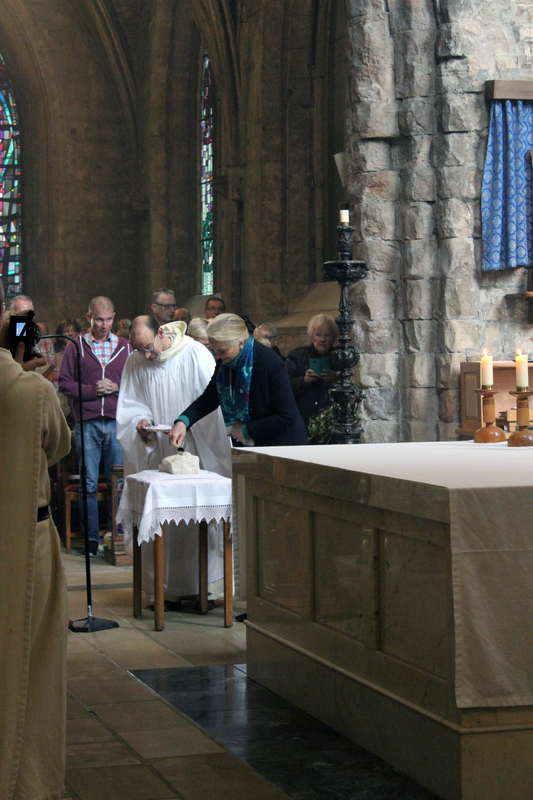 The stone will be displayed at the heart of the abbey’s proposed new South Range wing.